Notes: Nationally scarce (Nb) in scrubby heathland, mostly in south-eastern England, with scattered colonies from Sussex to Yorkshire and Lancashire. 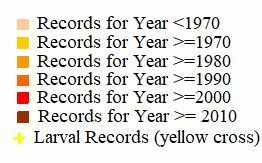 In our area, scarce but most frequent in the New Forest, with occasional reports from the north-east of Hampshire, with scattered records from elsewhere: all records away from the core areas will require photographic evidence at least to confirm records. Wingspan 20-23 mm. 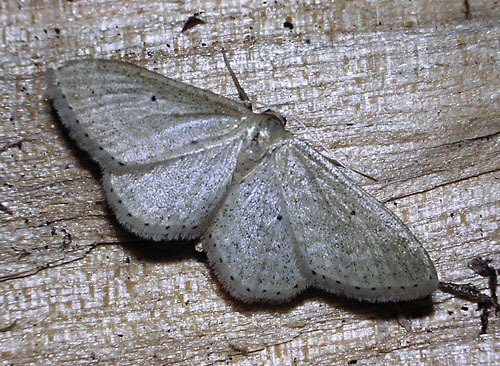 Apart from the very local Silky Wave I. dilutaria, which may also have small terminal dots on both wings, the main confusion species is Satin Wave I. subsericeata, which usually lacks terminal dots; Dwarf Cream Wave I. fuscovenosa has terminal dashes instead of dots. Larva feeds on Wild Thyme, Dyer's Greenweed and Petty Whin.